President Trump has declared the opioid epidemic a national public health emergency and urged prosecutors to seek the death penalty against drug dealers. Congress has provided targeted grants for treatment, recovery and prevention and made numerous policy changes to help people struggling with addiction get access to services. From the National Institutes of Health to Veterans Affairs and the Agriculture Department, government agencies are deploying their own specialized skills. Still, the addiction crisis will not easily release its grip on the nation, even as progress is made providing resources and improving coordination. Here's a look at the extent of the epidemic, and what the federal government has been doing. Some 47,600 Americans died of opioid overdoses in 2017, according to federal numbers. That's more than die as a result of traffic crashes. 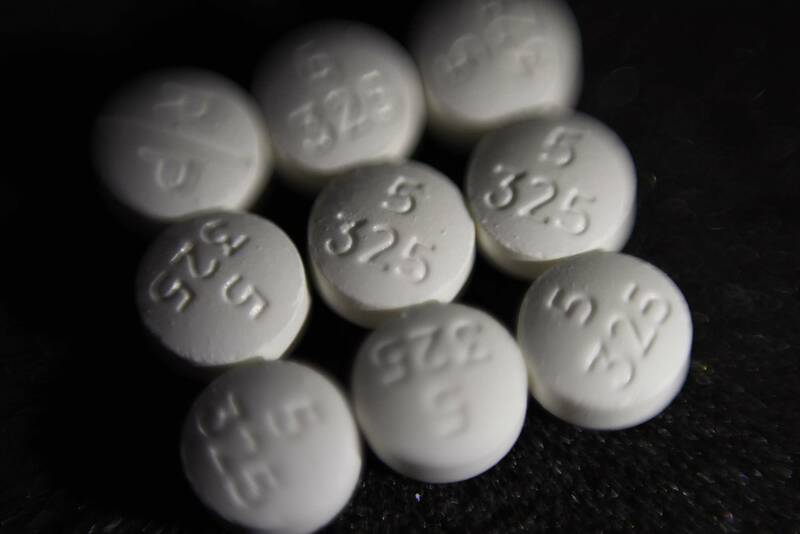 Opioid deaths were 13 percent higher compared to 2016, up a notch in a 20-year onslaught. The street drug fentanyl — an extremely powerful opioid — is the top killer today, displacing heroin and pain pills. But prescription painkillers are still a problem, contributing to 14,495 deaths in 2017. It's too early to say for sure, but experts are watching a potential indicator that opioid overdose deaths may be peaking. Month-to-month data reported to the Centers for Disease Control and Prevention have shown a leveling off in deaths, said Bob Anderson, a CDC senior statistician. However, those numbers are considered preliminary, because investigations have not been completed in all cases. "We may start to see a decline," said Anderson. "This reminds me of what we saw with HIV in the '90s." Final numbers for 2018 won't be available until the end of this year, and things could also get worse, not better. Although overdose deaths get the most attention, that's not the only way for users to die. People who inject drugs can get heart infections, HIV and hepatitis C. The risk of infection is higher than the chance of dying from an overdose. The multitude of opioid drugs, the increasing lethality of some and their varied routes to market make the crisis especially challenging. Some effective responses can be surprisingly simple: In a recently reported experiment, doctors were sent a letter from the medical examiner's office telling them of a patient's fatal overdose. They responded by prescribing fewer opioids. Starting under former President Barack Obama, the government has been providing grants to states — to help treat people addicted to opioids and to prevent others from getting hooked. The expansion of the Medicaid health program under Obama's health care law has also played a role in financing treatment. Various federal agencies are bringing specialized expertise. CDC is closely tracking the epidemic's toll. NIH is researching pain management and ways to treat addiction. The Agriculture Department is focusing on opioid misuse in rural areas, where treatment resources are scarce. And Veterans Affairs maintains an opioid safety initiative dating to 2013 to help its doctors reduce unnecessary prescriptions. It's difficult to get a complete and authoritative accounting, since spending is across many agencies and programs. That includes entitlements like Medicaid, that don't require annual funding approval from Congress, as well as dozens of other programs that do — in addition to specific grants. Experts say the government is spending billions of dollars, there's no doubt that's increasing, and it's still probably not enough. In its last year in office, the Obama administration secured a commitment to expand treatment, and Congress reserved $1 billion for grants to states . Last year, Congress provided another $1 billion to states under a new grant program. The Trump administration recently awarded those grants. That comes on top of nearly $1.9 billion for the government's main drug treatment, recovery and prevention program, according to the National Association of State Alcohol and Drug Abuse Directors. Additional funding is allocated across other agencies and programs. A study sponsored by the nonpartisan Robert Wood Johnson Foundation highlighted Medicaid's role. It found that the federal-state health program for low-income people covers more than 1 in 3 of those with opioid addiction. Even before Medicaid was expanded, researchers estimated it spent more than $9 billion in 2013 on care for low-income people addicted to opioids. States are spending grant money on treatment, overdose antidote kits, recovery support services, training for doctors and public awareness campaigns. The goal is to get more people treated with medications for opioid addiction such as buprenorphine and methadone. There's solid evidence backing these medications, when they're used alongside counseling and ongoing support. The Health and Human Services department has several programs to help states and communities pay for the antidote, but with overdose deaths still high, it's tough to say what the impact of naloxone has been. A 2017 working paper, published by the National Bureau of Economic Research, suggests laws encouraging naloxone might be having a small effect on reducing fatalities. People dealing with the epidemic say deaths would be even higher without the antidote. Administration officials say they are making headway daily, deploying more resources and sharpening the coordination of government efforts among agencies. Some experts in the field debate the administration's role. "When you look at the administration's actions in the wake of that public health emergency, I was not overwhelmed by any of it," said Rebecca Farley David of the National Council for Behavioral Health, which advocates for organizations that provide addiction treatment. She singled out Trump's attempt to repeal the Medicaid expansion: "That would have had a devastating impact on people with addictions." But Jessica Hulsey Nickel, founder of the advocacy group Addiction Policy Forum, said, "Whether you are an 'R' or a 'D,' this administration has made sure every element of the government that has a role to play has been engaged." Trump's opioid commission delivered 56 recommendations, including more drug courts, training for doctors and wider use of treatment medications in the criminal justice system. In some ways the opioid epidemic is only the latest manifestation of drug problems deeply rooted in American history. Public health experts say one major difference today is that addiction is increasingly recognized by experts and lay people alike as a disease of the brain, not a moral failing. That could open the way for building an infrastructure for what's called the "continuum of care" — prevention, treatment and recovery. For many people, the road back from addiction is a yearslong journey, and relapse is common. Dr. Deborah Richter, a Vermont physician who treats addiction, says there's no fixed timetable for pronouncing a patient "cured." "They're not ready unless they can say, 'I wouldn't know where to get heroin unless it bit me,'" Richter said. How does Trump's use of the criminal justice system to address the crisis compare with others? Getting tough has traditionally been part of the U.S. "war on drugs." Only recently has the importance of treatment been widely recognized. Trump has speculated that countries like Singapore have fewer issues with addiction because they mete out harsh justice and has said he wants the Justice Department to seek the "ultimate penalty" when possible. The U.S. drug kingpin law already allows federal prosecutors to seek the death penalty in cases where someone is intentionally killed during a drug deal or in furtherance of a drug enterprise. Former Attorney General Jeff Sessions had vowed to seek the death penalty "wherever appropriate." "While it's important to make interdiction a priority, we need to make sure we don't criminalize the disease of addiction," said Jessica Hulsey Nickel of the Addiction Policy Forum.